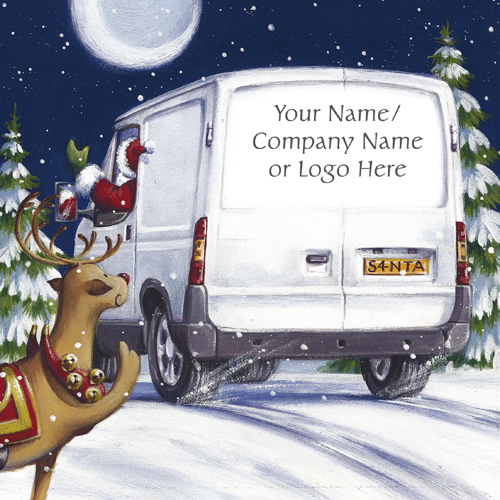 A great corporate Christmas card which gives you the chance to add your company name or logo, to the rear window of Santa's white van! Adding your own logo creates a truly personalised corporate Christmas card. Please click on the smaller thumbnails below, to see further examples of how this card has been personalised. Please note: the greeting and personalisation you choose, for the inside of your cards, will be printed directly onto the inside of the card, and not on a paper insert. 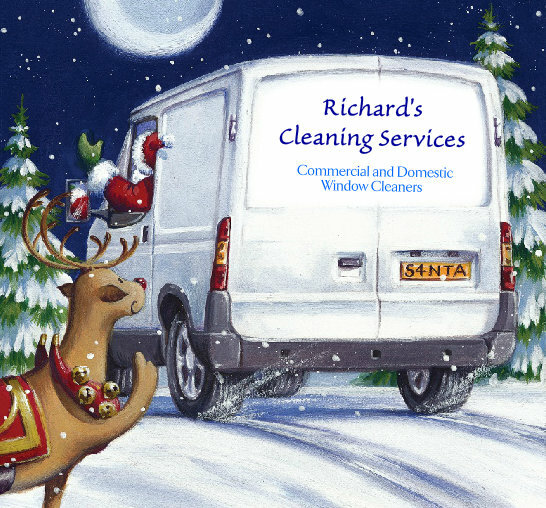 Card Finish: Mirror Gloss Finish with your Company Logo printed on the rear window of Santa's van. Personalise this design by having your Company Logo printed on the front of this card. By purchasing the Out for Delivery Christmas card 10p for each card you purchase will be Donated to the Charity of your choice from the Charities listed below.